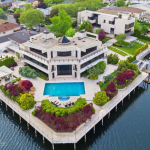 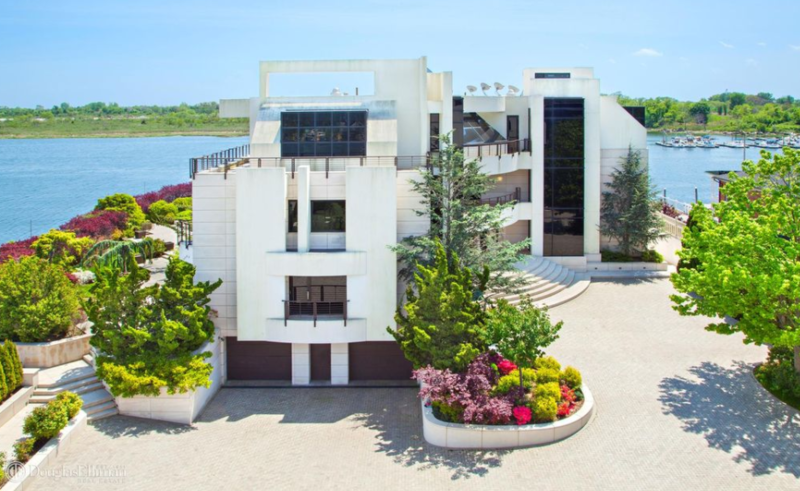 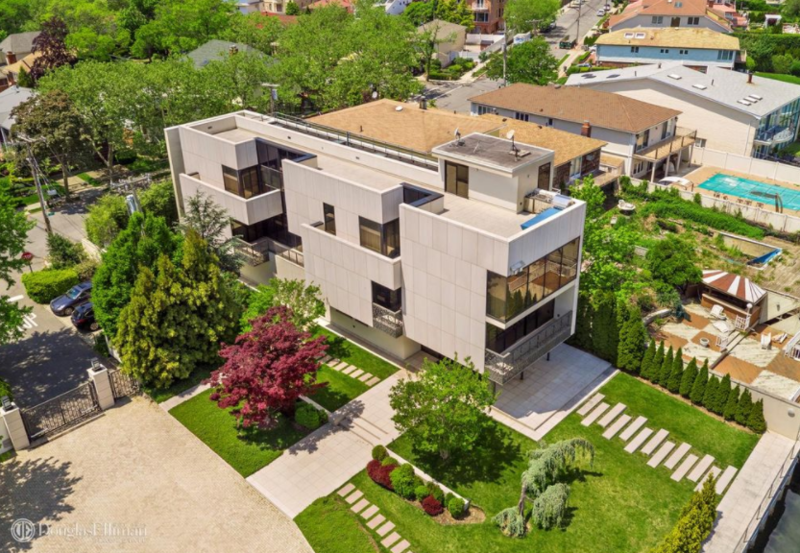 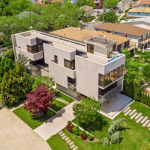 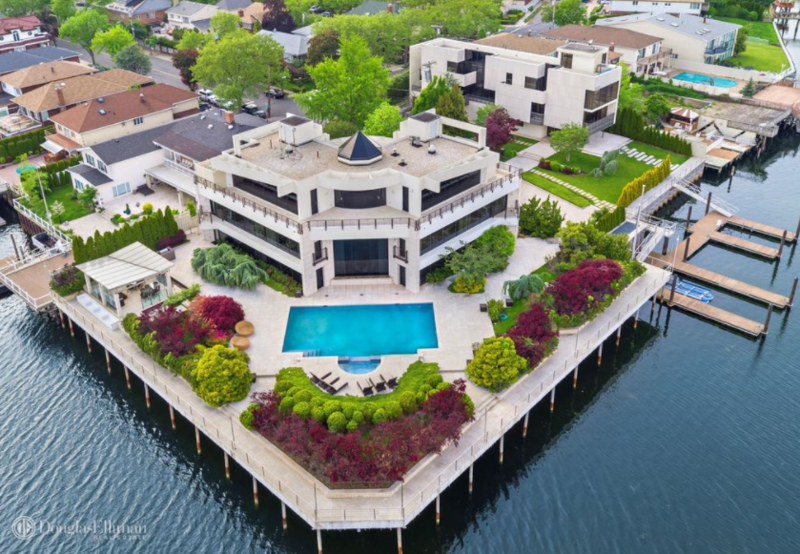 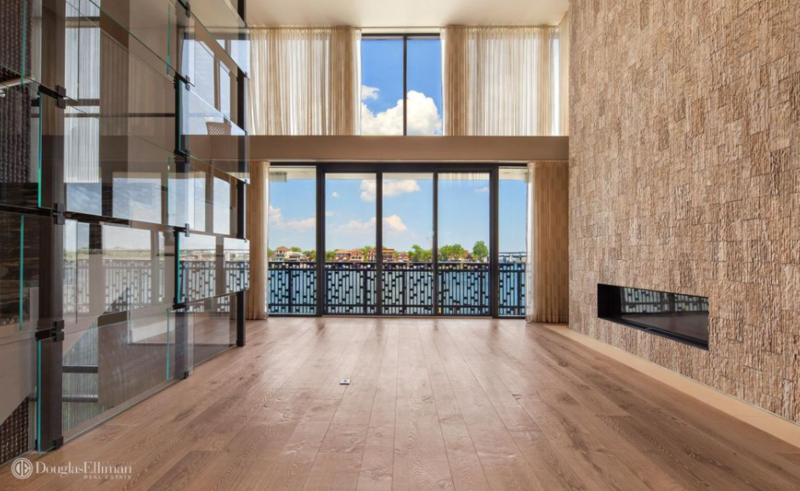 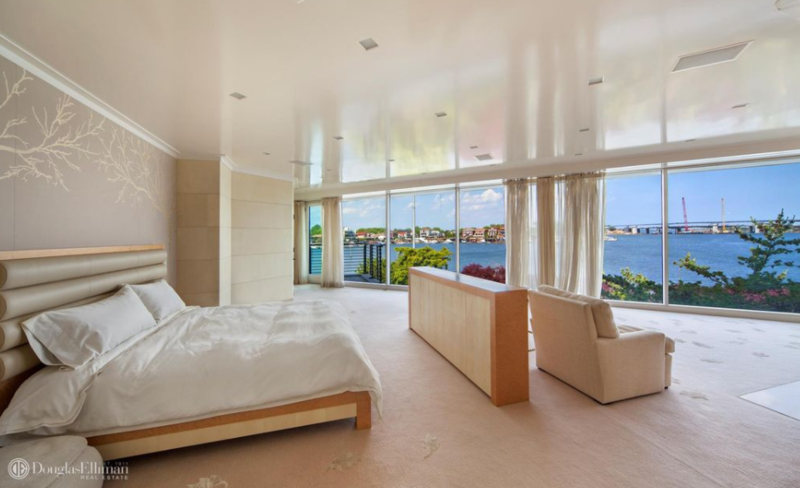 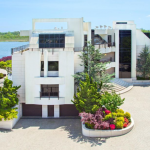 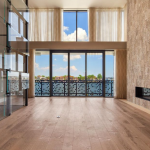 This Contemporary style waterfront compound is located at 2458 National Drive in Brooklyn, NY and boasts 257′ of water frontage. 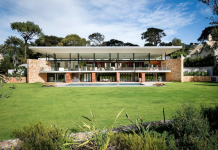 It consists of a main house and guest house. 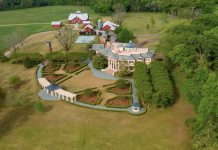 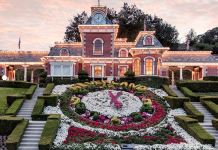 The main house & guest house feature a combined 21,800 square feet of living space. 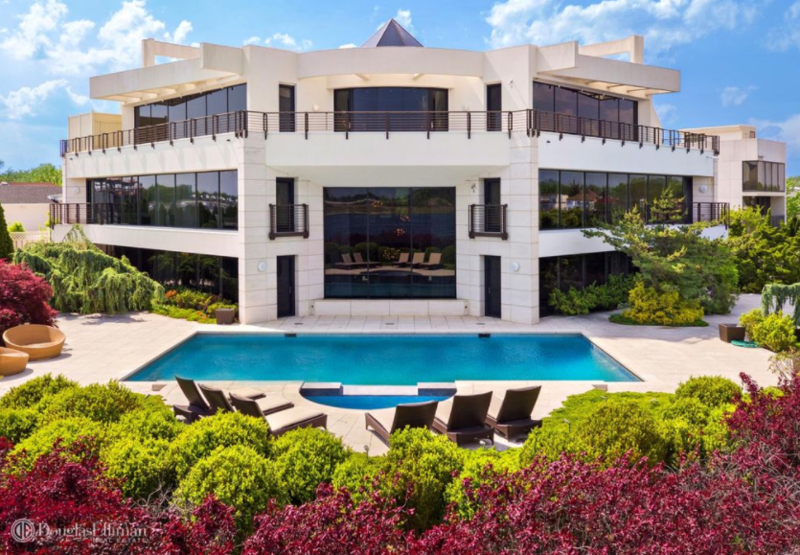 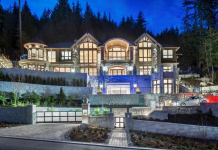 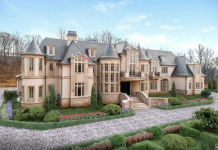 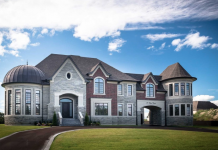 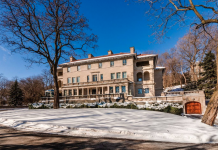 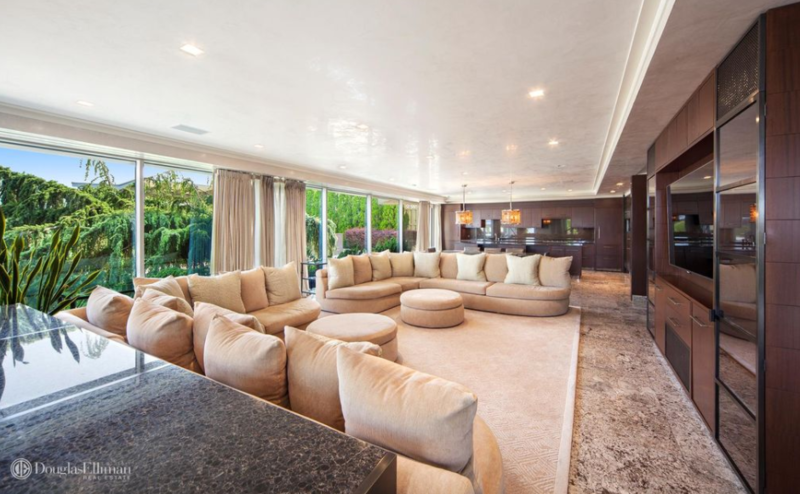 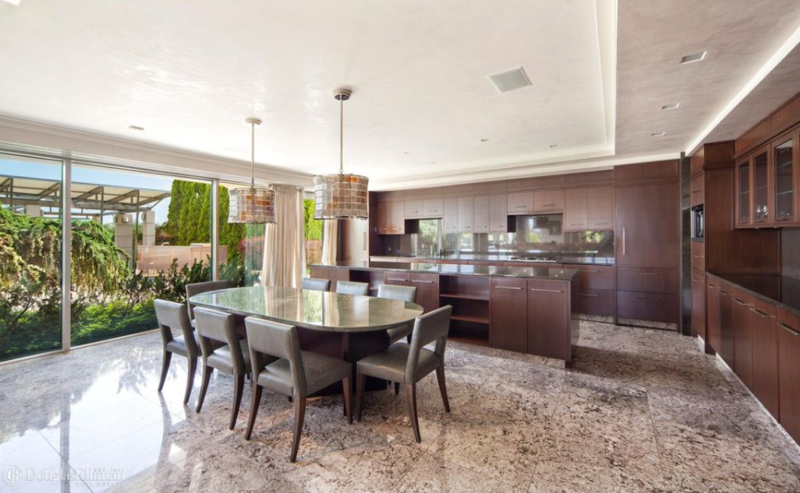 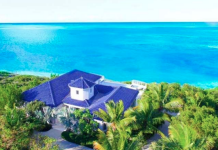 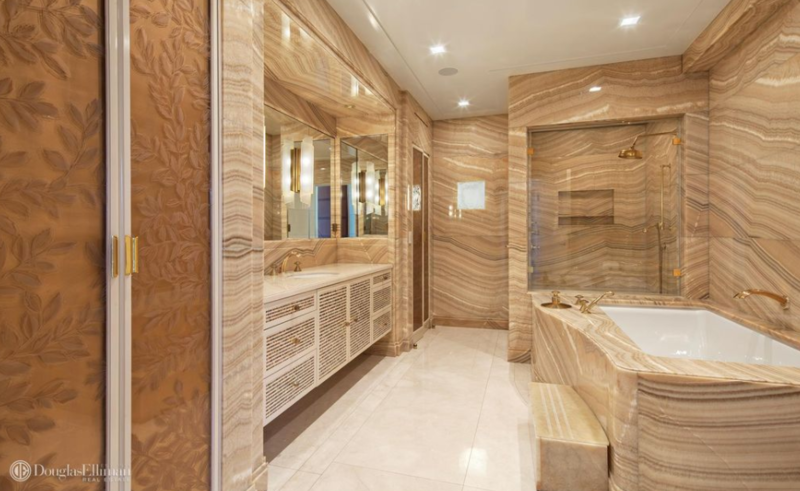 The main house features approximately 14,000 square feet of living space with 4 bedrooms, 10 bathrooms, 2-story great room with staircase, living & dining rooms, gourmet kitchen, family room, solarium, 2nd kitchen in lower level, 5-car garage and more. 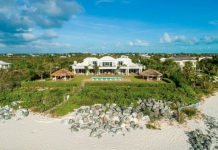 The guest house features approximately 7,800 square feet of living space with multiple bedrooms & bathrooms, 2-story great room, gourmet kitchen and more. 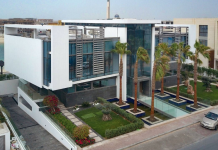 Outdoor features include a gated entrance, multiple terraces, extensive patio, kitchen/BBQ, swimming pool with spa and a marina. 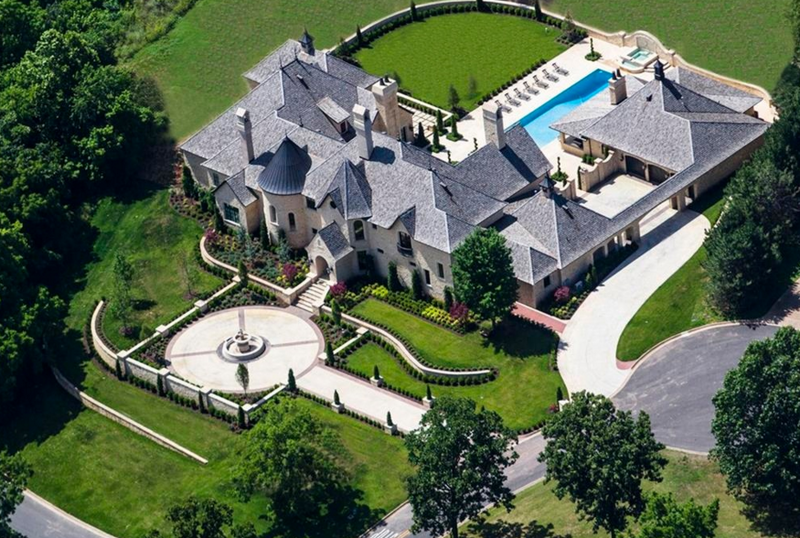 It is listed at $18,000,000.